Following months of turmoil, Green Flash Brewing Company has identified its next chief executive. The San Diego-based craft brewery, which was sold to a new investor group last month, today named former Anheuser-Busch executive Michael Taylor as its new CEO. Taylor — who most recently served as A-B’s vice president of mergers and acquisitions and oversaw the company’s newly acquired Hiball and Alta Palla brands — will bring more than 14 years of beverage experience to a struggling Green Flash that was forced to close two production facilities, lay off 76 employees and pull distribution from 42 states this year. For his part, Green Flash founder Mike Hinkley will continue to play an “active role” on the company’s leadership team and report directly to Taylor, a press release noted. The decision to hire Taylor — who spent seven-and-a-half years leading M&A for A-B and helped to lay the foundation for what would become the company’s “High End” craft and import division — is aimed at helping Green Flash rebound from its distressed financial position and rebuilding its identity as an iconic San Diego craft brand. Taylor, who already resides in Orange County, California, said he plans to spend his first 100 days at Green Flash getting more familiar with the San Diego company as he crafts a strategy for reinvigorating the brand. According to Taylor, Hinkley will remain focused on helping to shape the brewery’s commercial agenda, as well as its sales and trade marketing strategies. Taylor praised Hinkley for “creating an incredible brand” and said “his knowledge of the marketplace” would be valuable in helping Green Flash emerge from a distressed situation. In joining the San Diego craft brewery, Taylor will also link back up with Josh Yelsey, a former A-B executive that Taylor hired in 2012 to assist with the company’s M&A efforts. Yelsey, who spent two years working on M&A with Taylor while at A-B, currently serves as a Green Flash board member and a manager of WC IPA LLC, the holding company that purchased Green Flash Brewing via a foreclosure sale last month. 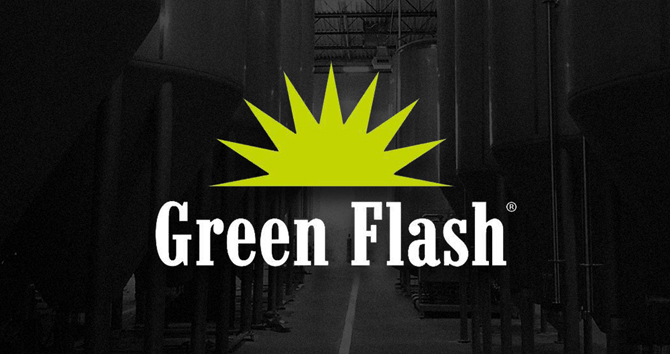 Green Flash Brewing’s troubles began in 2015, when the company took on “a considerable amount of debt” to build a $20 million secondary production facility in Virginia Beach, Virginia. As Brewbound first reported in February, Hinkley characterized the decision to finance its 58,000 sq. 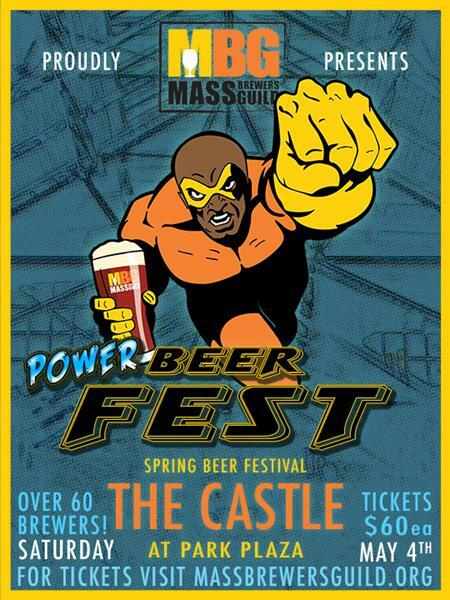 ft. East Coast brewery with debt instead of equity as a “mistake” that ultimately forced the company to deal its assets to the new ownership group in April. “Combining the integration aspects and the change management aspects with a commercial focus – that combination is ripe for Green Flash at this time,” he said. Taylor, who also served on the board of directors for Craft Brew Alliance (CBA), which is 31.4 percent owned by Anheuser-Busch, relinquished that position when he officially departed A-B last Thursday. Taylor added that he plans to lean on his experience watching and learning from Thomas as he embarks upon his first stint as a brewery CEO. CBA has not yet identified a replacement from within A-B to fill Taylor’s vacant seat. Hiball founder Todd Berardi will continue to lead that team, the spokesperson added. A press release with additional details is below. SAN DIEGO — Green Flash Brewing Company, known for its popular lineup of specialty craft beers including fan favorites like West Coast IPA and Alpine Duet, announced that Michael Taylor has been appointed CEO. With more than 14 years of experience in the beer and beverage industry, Taylor will focus on strengthening the Green Flash and Alpine brands, culture and regional footprint, while guiding the long-term strategic growth of the businesses. Green Flash’s founder, Mike Hinkley, will continue to play an active role on the leadership team reporting to Taylor and serving on the company’s board of managers. “I’m very excited that Michael is coming on board as the CEO of Green Flash. His talent, experience, and leadership are the perfect fit and I look forward to working with him,” says Hinkley. Taylor brings in-depth expertise and a reputation as a strong leader in the beer and beverage industry, with extensive knowledge in finance, operations, and the commercial and production aspects of the business. Prior to joining Green Flash, Taylor worked at Anheuser-Busch Companies where he served in various senior management positions during his 14-year tenure with the company. Most recently, he was vice president of non-alcohol, leading all commercial and business operations for the Hiball Energy and Alta Palla brands. Prior to that, he was vice president of M&A, responsible for leading all M&A and business-development strategies and activities for the U.S. and Canada, including positioning several well-known craft breweries for growth and sustainable success. In addition to his involvement in the beer industry with Anheuser-Busch, Taylor has strong ties within the alcohol industry, recently serving as a board member of Craft Brew Alliance Inc.and an advisory board member of the wine investment fund, Bacchus Capital Management. A chartered financial analyst (CFA), Taylor earned both his MBA and BSBA degree in finance and organizational management from the University of Missouri, St. Louis. Green Flash is an award-winning craft brewery founded in 2002 to bring fresh ideas and a sense of adventure to craft beer. Today, Brewmaster Erik Jensen leads brewing operations with unconventional ingredients and an obsession over every detail of the brewing process. 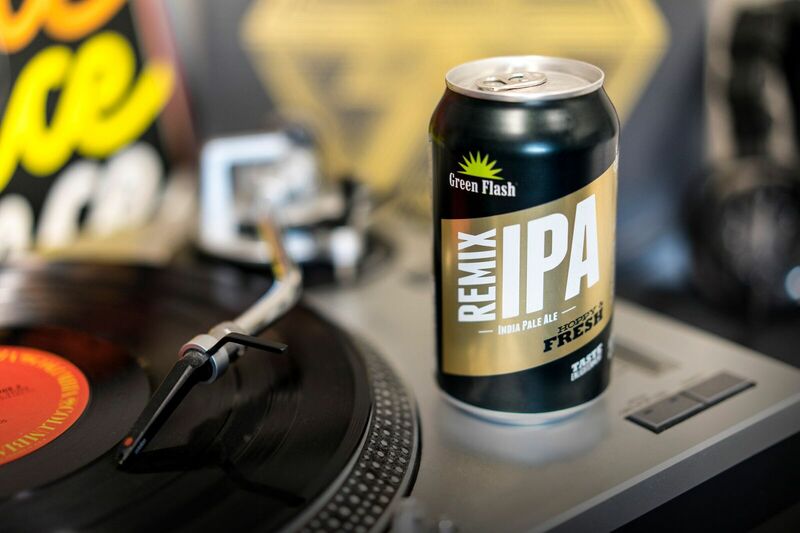 Green Flash produces an eclectic lineup of specialty craft beers and distributes them throughout its core markets of California, Arizona, Colorado, Hawaii, Nevada, Texas, Utah and Nebraska. 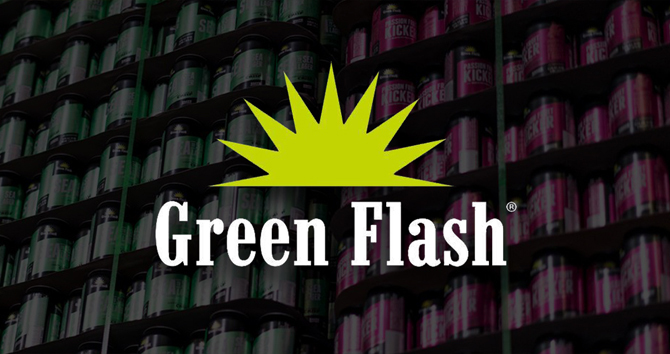 Based in San Diego, Green Flash remains independently owned and operated. 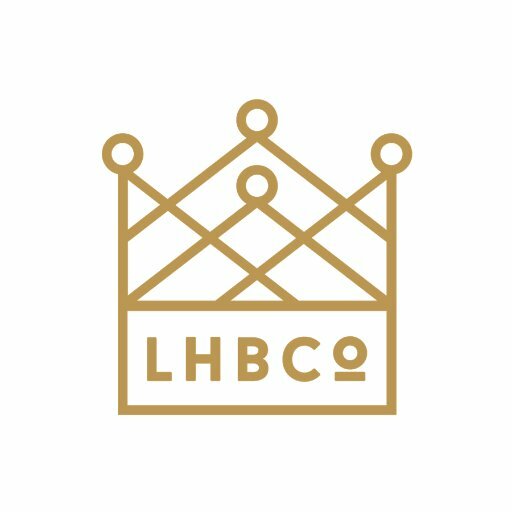 It runs a full-scale brewery and tasting room in San Diego and will soon be opening a brewhouse and eatery location in Lincoln, Nebraska. In 2014, Green Flash acquired Alpine Beer Company, which is located and operated in the town of Alpine in Eastern San Diego County. For more information, please visit www.greenflashbrew.com. Alpine Beer Company is an award-winning craft brewery founded in 1999 with the creation of McIlhenney’s Irish Red Ale. Shawn McIlhenney leads brewing operations in the small town of Alpine, located in the hills at the eastern edge of San Diego County. The brewery includes a tasting room and outdoor beer garden. Just a few blocks away, Alpine beers are on tap at the Alpine Beer Company Pub and served alongside barbecue dishes. In 2014, Alpine Beer Company merged with San Diego’s Green Flash Brewing Company, increasing production and distribution of its ales. For more information, please visit www.alpinebeerco.com.